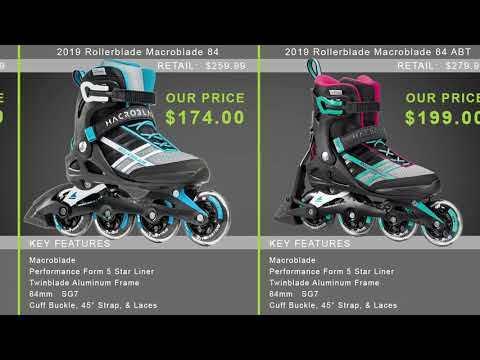 Perfect for beginners comes the Rollerblade Macroblade 80 Inline Skates. You will get awesome fit and support with the Macroblade boot structure which gives you the ideal mix of flex and lateral support and the higher cuff gives extra stability. The Performance liner is super comfortable with engineered mesh and padding in the tongue and ankle and the cuff buckle, power strap and laces will provide you with a secure and comfortable fit. 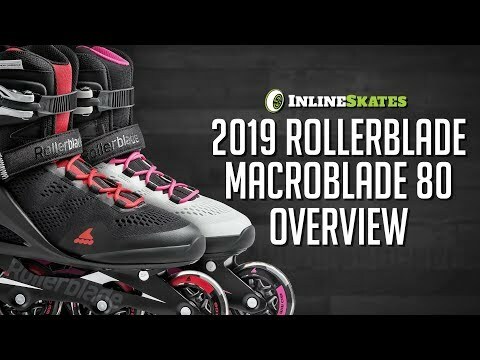 There is a Twinblade Aluminum frame that is durable and will keep the skates lower to the ground with its low profile design to give enhanced stability and balance. The Rollerblade Performance wheels at 80mm and SG5 bearings provide a nice, moderate speed to get your feet wet with skating.